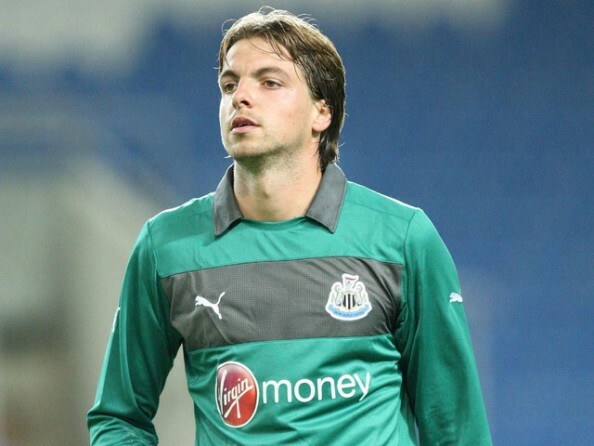 It’s been a very long time since Arsenal were completely confident in the goalkeeper they had, which means they’re always on the lookout for a better one, and the next one might be Tim Krul from Newcastle. The 25 year old Dutch keeper, with 5 appearances for the national team, has been with Newcastle since he was 17, playing for their youth team. After a few years of being loaned out, he landed the first team jersey after the club was promoted back into the Premier League, and was one of the best performers for the club and across the league in the 2011-2012 season. Like the entire club, his form took a dip last season, although injuries played a major part in that decline, playing in only 24 matches, as Newcastle struggled to find consistency without him, barely surviving the relegation battle despite spending quite a lot of money on French players. It’s hard to feel too confident about either Wojciech Szczęsny or Łukasz Fabiański as goalkeepers who’ll be great for the club for many years, especially when it comes to Fabianski, who has been given plenty of chances, messing up every time. As for Szczesny, it seems the jury is still out on him, but he has cost Arsenal points from time to time, and even though he’s 23, there’s just none of the “elite-goalkeeper” feeling omitted off of him. There’s a chance Newcastle know their chances of keeping Krul, if Arsenal does further their approach for the player, aren’t that great. Reports in the Netherlands (according to AD.Nl), suggest Newcastle have approached PSV regarding their goalkeeper Jeroen Zoet who was part of the Holland squad at the recent Under-21 European Championships. Despite all the talk of Arsene Wenger changing and willing to spend more money than ever before on new player, the only addition to the squad so far has been Yaya Sanogo (free transfer) from Auxerre.